The caves on the slopes of The Rock were first inhabited in the Neolithic period. The Bronze Age kings of Athens had their palace here and fortified the hill (in the 13th cent. BC) with a strong circuit wall 760 m in length. The Mycenaean palace was replaced by a temple dedicated to Athena Polias. The religious importance of the Acropolis grew, with the erection of shrines dedicated to Pallas Athena. The sanctuary was completely destroyed by the Persians. Cimon prohibited any rebuilding, to remind the Athenians of the destruction wrought on their city by invaders and to prevent them from becoming complacent. After the Greek victory at Marathon, Pericles’ master plan for the reconstruction of the Acropolis was put into action. The Parthenon and the Propylaia were erected first, followed later, during the Peloponnesian War (between Sparta and Athens), by the Erechtheion and the Temple of Athena Nike. The Acropolis acquired new votive offerings and statues, many of which were later destroyed by the early Christians. The Parthenon became a Christian cathedral and was re-named Panaghia Athiniotissa (Virgin of Athens). The Acropolis’ buildings were converted into mosques or torn down for material used to strengthen its fortifications. The Venetians, under Francesco Morosini, bombarded the Acropolis, causing an explosion that created the gap still to be seen today in the south side of the Parthenon’s colonnade (the north side has been reconstructed). 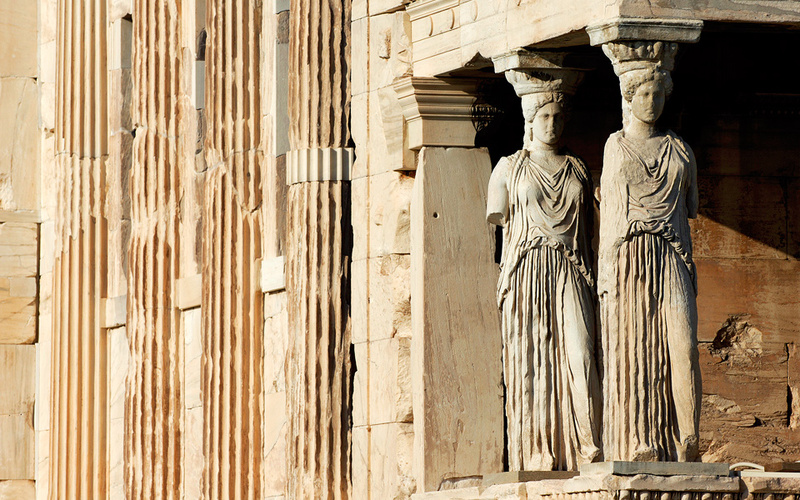 Further destruction was carried out by Britain’s Lord Elgin, who used a saw to cut up and remove (1801-1812) much of the sculptural decoration of the Parthenon, the Temple of Athena Nike and the Erechtheion, including one Caryatid. Greece’s first Curator of Antiquities, Kyriakos Pittakis, cleared the Acropolis of most of its post-Classical additions and launched the first restoration of modern times, of the Athena Nike temple, in 1835.